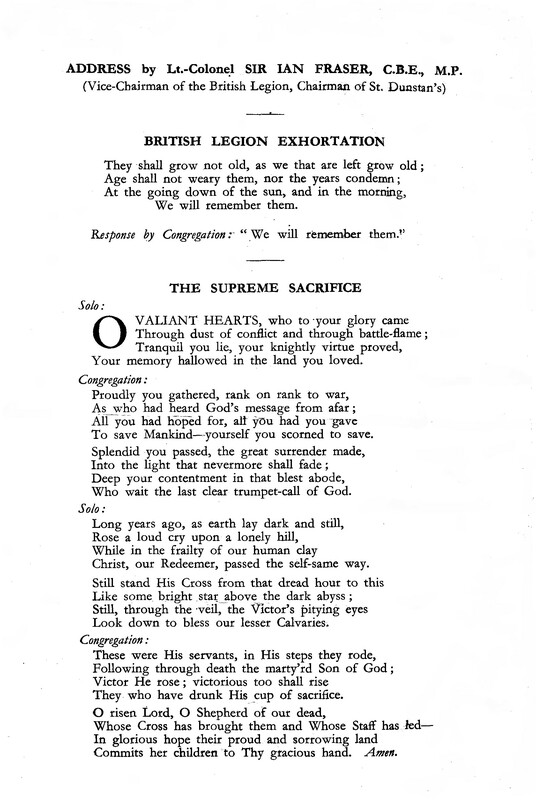 I have owned this little document for many years, it was among some wartime books given to me by my Grandmother. 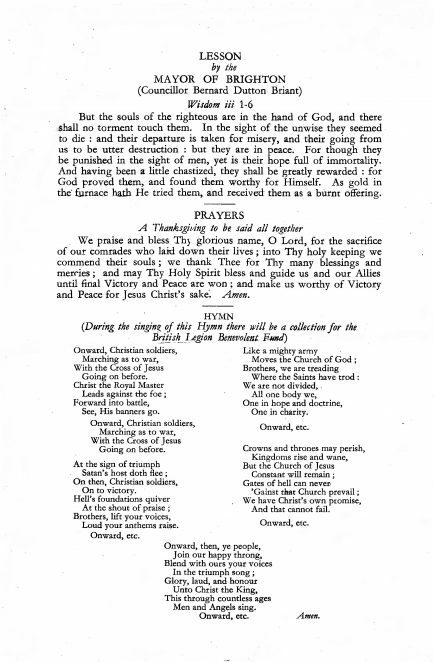 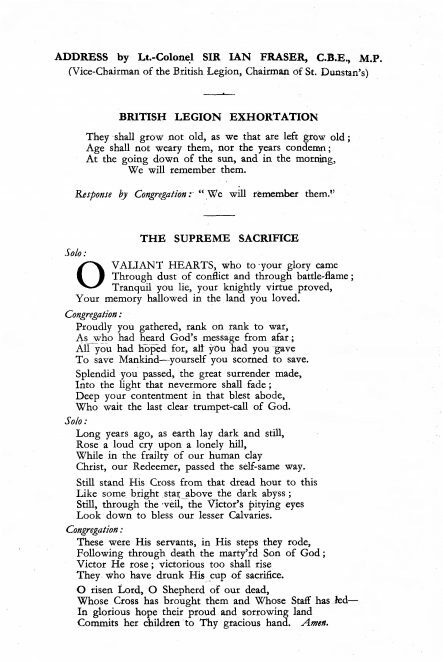 It is the order of service for Remembrance Sunday 1943. 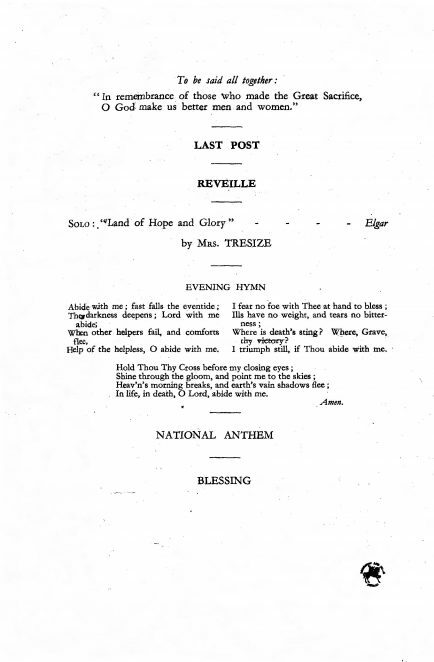 I thought I would share it as it is a little fragile now being seventy years old, and very likely the only copy to survive. Click on the image to open a large version in a new window, click again to further enlarge. 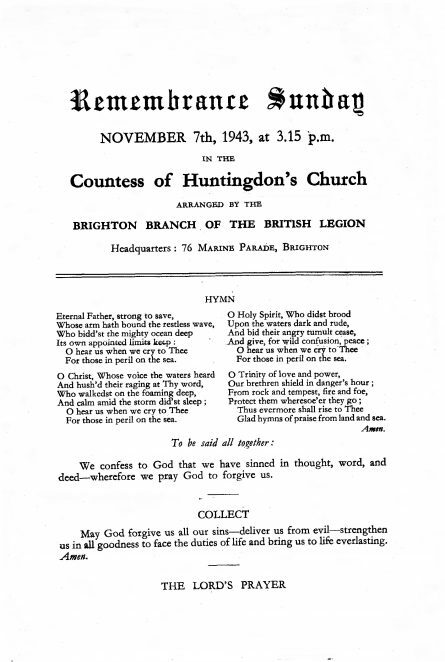 I cannot be sure of the date but my grandfather, Ernest Henry Mead of 18, Bond St was a member of the congregation at the Countess of Huntingdon’s. Many years ago I met the Misses Diplocks [of Diplocks Yard, North Rd] who were both members of the same church. 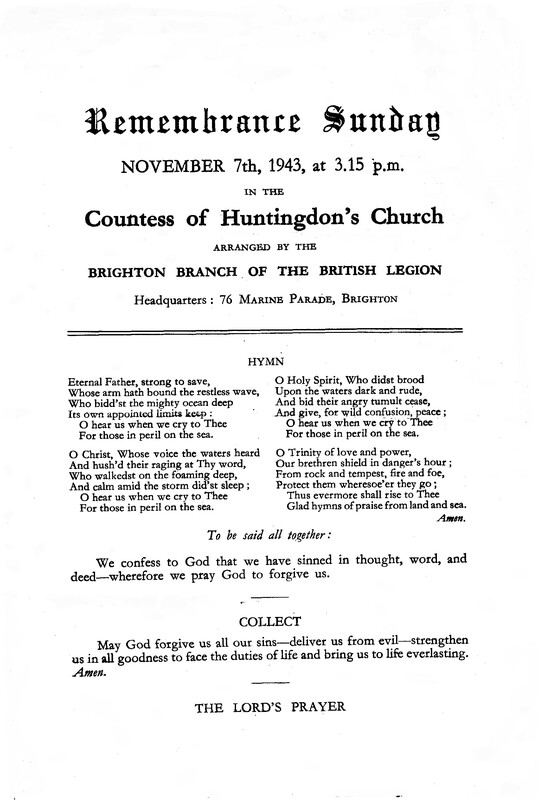 They told me that in the 1930s the ‘vicar’ was the Rev Pitt Bannerjee an Indian gentleman, which must have been very rare in inter-war Brighton.